In Arizona, it’s illegal to knowingly use or possess dangerous drugs. The law is found in ARS § 13-3407(A)(1), which makes dangerous drug possession a class 4 felony. Examples of dangerous drugs include cocaine, methamphetamine, acid, peyote, steroids, ecstasy, LSD, PCP, mushrooms, and GHB. A comprehensive list of Arizona’s dangerous drugs is contained in ARS 13-3401(6). This list is periodically updated to reflect new drugs recognized by the Federal Drug Enforcement Agency. If charged with dangerous drug possession, you’ll also likely be charged with possession or use of drug paraphernalia. The paraphernalia charge shouldn’t be concerning, however, as it’s a lesser class 6 felony—meaning it doesn’t increase penalties or consequences. Arizona has defined threshold levels of dangerous drugs that can create a presumption of sales; the threshold quantity exposes you to mandatory prison terms. If convicted of possessing a threshold quantity of dangerous drugs, or there’s evidence of sales, it’s imperative to consult and hire an attorney to protect against mandatory prison terms. Arizona’s threshold levels for dangerous drugs are defined under ARS 13-3401(36). What evidence is needed to show Dangerous Drug Possession in Arizona? Dangerous drug possession requires actual, constructive, or joint possession with knowledge of the drug’s presence. State v. Murphy (Ariz. 1977). Actual possession is where you have dangerous drugs on your person—such as in your hand, pocket, or backpack. Constructive possession is where the drugs aren’t on your person, but instead, in a place you exercise dominion and control, such as house or car. State v. Floyd (Ariz. App. 1978). Joint possession is where you shared the dangerous drugs with another. The prosecutors must have evidence that links you to the drugs in a such a way that it can reasonably be inferred that you knew about the drug’s existence and whereabouts; furthermore, that you exercised dominion and control over the drugs. State v. Cunningham (Ariz. App. 1972). Your mere presence where drugs are found is not enough to convict you. State v. Miramon (Ariz. App. 1976). Potential Outcomes and Penalties for Dangerous Drug Possession in Arizona. For the vast majority of our clients, we’re able achieve two types of favorable outcomes. First, we can usually negotiate a client’s entry into the TASC diversion program. The benefit of TASC is that it results in the complete dismissal of the case; this keeps your record clean. Alternatively, we can negotiate your case down to an undesignated class 6 felony—also known as a 6 open. The 6 open can later be changed to a misdemeanor after completing probation. These options are discussed in further detail below. Dangerous drug possession is a class 4 felony that carries a prison range of 1 to 3.75 years. If, however, you have prior allegeable felony convictions, you can face up to 15 years. The maximum fine for dangerous drug possession is a $150,000.00 plus an 83% surcharge. For first time offenders, the Court may change a non-methamphetamine dangerous drug conviction to a class 1 misdemeanor. If convicted of a class 1 misdemeanor, the maximum jail is 6 months and the maximum fine is $2500, plus an 83% surcharge. The good news is that Arizona’s Proposition 200 offers many Defendants protection from serving any jail or prison. Under Proposition 200, first and second time non-violent drug offenders cannot be incarcerated for simple drug possession. Instead, a judge can only order probation with fines, drug testing, treatment, and community service. To get jail or prison, you must have a prior violent conviction or at least two previous drug convictions. Methamphetamine, unfortunately, isn’t afforded prop 200 protection, and thus, even first time possessors of methamphetamine can potentially be incarcerated. If you’re not Prop 200 eligible, you face up to a year in jail with probation, or between 1 and 15 years in prison. The potential prison range depends on your criminal history and the facts of the case. The more allegeable felonies on your record, the more prison you face. If convicted of having more than the threshold amount of dangerous drugs, prison time is mandatory. Undesignated Felony Agreement (6 Open Agreement). Dangerous Drug possession can be reduced to an undesignated felony. An undesignated offense means the conviction can later be changed to a misdemeanor upon completing probation. In dangerous drug cases, the Judge often orders 18 months of unsupervised probation, during which time, you may be subjected to random drug tests. A 6 open dangerous drug plea agreement usually reads as follows: “Defendant shall be placed on unsupervised probation with compliance monitoring. The offense shall not be designated a misdemeanor until the Defendant successfully completes probation. Defendant shall pay a fine of $750 plus surcharges and shall complete 100 hours of community service.” The total amount owed, after surcharges fees, and assessments comes to about $1500. Payment plans are available. TASC Pretrial Drug Diversion. A common outcome we obtain for clients in dangerous drug cases is TASC diversion. Our clients usually prefer TASC over a plea agreement because it keeps their record clean and takes less time to complete. The program calls for 12 months, in contrast to the usual 18 months of probation. After completing TASC, charges are dismissed and you avoid a conviction. In many cases, an experienced criminal defense attorney can negotiate TASC for clients with a limited criminal record. When a TASC agreement is reached between your attorney and the prosecutor, you and your attorney meet with a TASC representative to complete paperwork. You’re then given a Saturday to attend an initial seminar, make your first program payment, and meet your case manager. The dangerous drug program calls for 12 months of counseling and testing. It mandates that you complete an initial 3-hour seminar, 48 hours of self-help meetings, 24 hours of substance abuse counseling, random drug tests, and monthly contact with your case manager. Program participants may not consume illegal drugs or alcohol during the program. The total cost of the program is about $2,400; each random drug test costs about $20. can pay monthly installments of about $200. The random drug test centers are in North Phoenix, Central Phoenix, Glendale, and Mesa. For random drug testing, you’re assigned a color. Every day you need to either text or call the hotline to see if your color comes up. When it does, you need to go in and take a drug test. Dirty tests, diluted samples, or missed tests usually result in dismissal form the program. You may only test positive for those drugs you have a valid prescription or medical marijuana card for. Participants are not allowed to test positive for alcohol or street drugs. Missing counseling appointments or failing to make program payments will delay completion of the program. Failure to attend the initial seminar or subsequent counseling sessions will lead to dismissal. Drug tests showing illegal drugs or alcohol will lead to your dismissal. Diluted samples and missed tests are considered dirty. When you complete the TASC program, your case is dismissed. If you’re instead dismissed from TASC for non-compliance, you must return to Court and the charges are reinstated for further prosecution. Common Defenses to Use or Possession of Dangerous Drugs. Constitutional Violations: The Arizona and US Constitutions affords us protection from unlawful searches, detainments, arrests, and seizures; it also guarantees due process in criminal prosecutions. When the government violates your constitutional rights, it warrants suppression of evidence and dismissal of charges. Due to the nature of dangerous drug cases, constitutional violations are common. Law enforcement often relies on searching our belongings and soliciting statements to prove their case. Fruit of the Poisonous Tree. Statements, drugs, and evidence that are discovered because of unconstitutional police conduct cannot be used against you. Once an unconstitutional act occurs, any evidence that flows from that act cannot be used. Lack of Knowledge or Criminal Intent: The State must prove knowing possession of the narcotic drugs. There’s many explanations or reasons you wouldn’t know about the dangerous drugs. The Dangerous Drugs Belong to Another Person. When there’s others present in a drug investigation, or others have access to where drugs are found, it creates problems in the State’ case. The other’s presence, or access to the drugs, creates reasonable doubt. Unaware of the Presence of Dangerous Drugs. An accused cannot be convicted of knowingly possessing drugs if they didn’t know the drugs were there. Mere Presence. Presence alone at a place where drugs are, isn’t sufficient to show possession. State v. Valenzuela (Ariz. 1979). In addition, joint possession of drugs cannot be solely based on the fact that you were with someone who had drugs; there needs to be additional evidence showing you knew about the drugs and had dominion and control over them. State v. Hunt (Ariz. 1962). For example, in one case, a defendant was found in home he didn’t live in. There was a strong odor of marijuana, three people on a couch, with marijuana two feet from the defendant, and marijuana on the floor between the feet of the person next to the defendant. The Court ruled that this wasn’t enough to uphold a possession conviction. State v. Curtis (Ariz. App. 1977). In another case, a defendant occupied the right front passenger seat of a car and police observed the defendant bend forward in the seat when addressed by another passenger; drugs were later found in the defendant’s sock. However, despite this evidence, the Court ruled there wasn’t enough to establish defendant’s dominion and control over the large quantity of drugs in a bag that protruded four inches from underneath his seat. State v. Miramon (Ariz. App. 1976). Problems in the Dangerous Drug Testing. The prosecutor needs to prove that the recovered substance contains a recognized dangerous drug. As such, the drug needs to bet tested by a forensic scientist. That same scientist must later testify that the recovered substance is a dangerous drug. No Usable Amount of Dangerous Drugs Recovered by Police. The State must prove that there’s a usable amount of the drug. A usable amount is a quantity that’s useable by known practices of addicts. State v. Junkin (Ariz. App. 1979). In other words, if the amount of dangerous drugs in evidence wouldn’t normally be used by an addict, the case should be dismissed. This is true even if the dangerous drug is identified in the crime lab. State v. Ballesteros (Ariz. 1966). Insufficient Chain of Custody. The government needs to prove that the dangerous drug recovered at the crime scene is the same drug that’s tested by the lab. The prosecution must account for every person that handled, or had access to, the dangerous drug in question. They must further prove that the dangerous drugs were safe from mishandling or tampering. Any break in this chain of custody is fatal to the State’s case. CALL or TEXT (480) 447-4837. 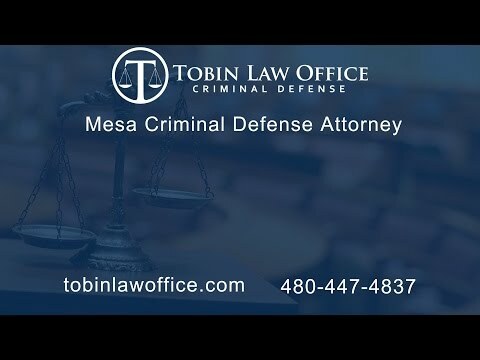 Even if your only goal is avoiding a felony or getting into TASC, it’s wise to consult and hire an experienced criminal defense lawyer in Mesa. Felony prosecution is a serious matter due to the risks, penalties, and consequences. A criminal lawyer ensures that you’re not taken advantage of and that you’re afforded opportunities. A defense attorney can guide you through the felony process and help you avoid common mistakes. We’re glad to talk you through the daunting criminal process and explain how you can avoid a conviction. Our consultations are always free, friendly, and confidential. Our clients are usually surprised by how affordable our legal fees are for drug cases. Possession charges are some of our most affordable services due to the consistency in the criminal procedures and outcomes.